For over 90 years, The Lutheran Radio Church Service has been broadcasting church services on AM radio in Milwaukee and the surrounding areas. Find our services on JOY 98.7 FM and 1340 AM each Sunday at 7:00am. This 30-minute service is the perfect way to worship the Lord and begin a new week. Each pre-recorded worship service includes choir selections, scripture readings, message of the day, general prayers, Lord’s Prayer and Benediction. Missouri and Wisconsin Synods alternate weeks in offering church services with a pastor whose message helps bring you closer to your God through the Word. In 1928, a young WELS layman wondered if broadcasting church services on the most popular media outlet of that time, the radio, would help folks (like his aging parents), who could no longer attend weekly worship services. Little did he know that his conversation with the local radio station manager would be the start of the longest continuously running radio church service in the United States! Lutheran Radio Church Service was first aired on Sunday, February 19, 1928. The Lutheran Radio Church Service is a radio broadcast program structured in the form of a liturgically-based Lutheran church service. Under the auspices of The Lutheran Radio Committee, this program is a collaboration of Milwaukee-area churches of the Lutheran Church – Missouri Synod (LCMS) and Milwaukee-area churches of the Wisconsin Evangelical Lutheran Synod (WELS). The two groups alternate Sundays, with each group providing 26 programs each year. The founder of The Lutheran Radio Church Service is Mr. A. J. Beyer. It was his vision, in the early years of radio broadcasting, that this medium could provide an opportunity for his aging parents, and others who were no longer physically able to regularly attend Sunday church services, to be given a means to worship from their homes. Mr. Walter Damm, WTMJ’s first Program Director, shared this vision. Dr. G. Christian Barth, then President of Concordia College in Milwaukee, consented to assume the duties and responsibilities of becoming the program’s first Radio Director. Thus was born The Lutheran Radio Church Service. From its inception in 1928 to 1953, The Lutheran Radio Church Service was a live broadcast, with participants broadcasting live on Sunday mornings from the WTMJ studios. In 1953, an agreement was reached to pre-record the programs on audio tape for playback on Sunday mornings. The recording of these programs continued to be done at WTMJ’s studios. In 1989, with a re-structuring of the studios at WTMJ, recording locations away from WTMJ were required. The LCMS recordings are now made at Trinity-Freistadt Lutheran Church and the WELS recordings are made at Wisconsin Lutheran College. 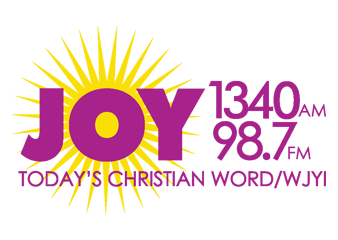 On March 1, 2009, The Lutheran Radio Church Service opened a new chapter in its history by moving its broadcast affiliation to Joy1340, WJYI in Milwaukee, in an agreement reached with Mr. Ryan Salzer, Joy1340's Operations Manager. Eagle River, WI - WRJO 94.5 FM Eagle River, WI - 6:30am Sunday www.wrjo.com and WERL 950 AM Eagle River, WI - 7:30am Sunday www.werlam.com).